While Over the River and Through the Wood is originally a Thanksgiving song, it is also a Christmas song. So don’t get disappointed if you’re not able to learn it for Thanksgiving. Let’s replace “Thanksgiving day” from the lyrics with “Christmas day” and we’ve got ourselves a Christmas ukulele song. Over the River and Through the Wood is a jovial Thanksgiving song adapted from a poem written by Lydia Maria Child. Child entitled the poem The New-England Boy’s Song about Thanksgiving Day. And she first published it in 1844 as part of a book called Flowers for Children Volume 2. Although the poem actually has 12 four-line stanzas, a shortened version of about two to six stanzas are normally included in the song. Because of its merry melody and cheerful lyrics, not to mention its references to snow and sleighs, it’s not a surprise that Over the River and Through the Wood is popular as a Christmas song as well. 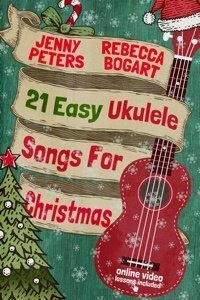 With Over the River and Through the Wood ukulele tutorial for beginners, you get to learn one of the songs from our best-selling book 21 Easy Ukulele Songs for Christmas. 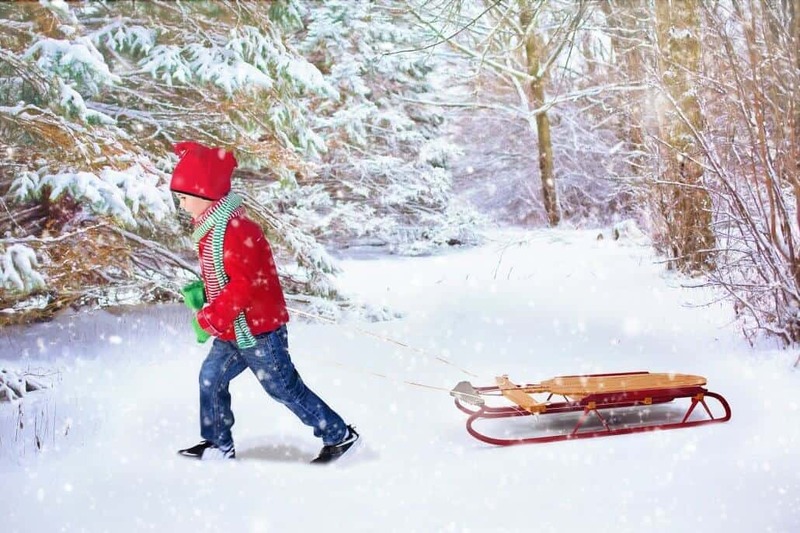 Child’s poem described the delightful trip of a little boy to his grandparents’ house for Thanksgiving Day – the sleigh ride through the snow, going across the river, passing through the woods and finally arriving to cheers and treats in their grandmother and grandfather’s house. Snow during Thanksgiving holidays may not be a familiar sight nowadays. But in the 1840’s setting of the poem, they were going through what experts now call “The Little Ice Age” wherein they experienced earlier and colder winters. Although the poem has become the most recognized work of Maria Lydia Child in modern times, she was a well-known writer, editor, journalist and activist in her own time. She wrote and published advice books like The American Frugal Housewife, novels such as Hobomok, biographies of independent and pioneering women and numerous pieces on magazines and newspapers. So, we hope you enjoyed this week’s ukulele tutorial. Don’t forget to subscribe here so that you get informed of new video tutorials each week and get a copy of the sheet music for those tutorials. Also, Jenny conducts a Facebook live session each week so like and follow us on Facebook to learn more ukulele lessons and interact with other ukulele lovers. Finally, subscribe to our YouTube channel and watch hundreds of beginner ukulele tutorials.